Today is 2 years sobriety for me. I can hardly believe it’s already been 2 years. Let me just say this has been the hardest 2 years of my life but because of my higher power, Jesus Christ I’m still standing! Because of Celebrate Recovery, I’m still standing! The devil’s mad, but I’m STILL STANDING! I’ve spend the last 2 years in a recovery ministry called Celebrate Recovery, and now in leadership in that same ministry. I can honestly say that working through the 12 steps and 8 principles has been the hardest yet most rewarding thing I have ever done in my soon to be 40 years of life. Celebrate Recovery is designed to take us all the way back to the beginning of life, and to find the root cause of our addictive behaviors. For me, abandonment & rejection from being given up for adoption was my root issue. Never being able to grieve my loss or share my feelings added to my deep rooted pain. This is why I turned to alcohol at a very early age so I could numb the pain I was feeling. There was no one to turn to and no one understood the depths of my losses. What made matters worse is that everyone expected for me to be grateful. This caused me to live with a huge amount of pain, and this pain came out in different ways such as low self-esteem, sexual promiscuity, anger, rage, lying, stealing, fighting, and drug and alcohol abuse. I hated myself and everyone in my life. As I got older these symptoms only got worse. 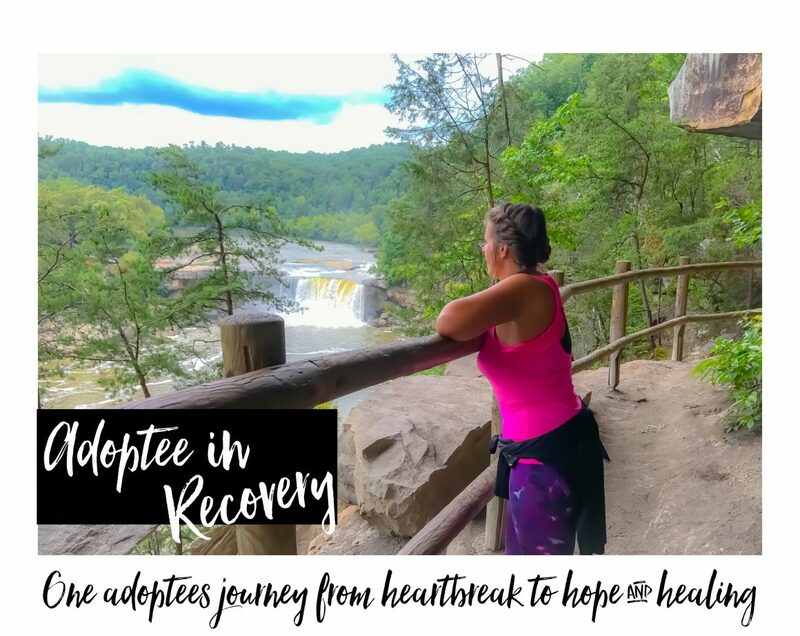 Somehow God spared me my life, and helped me find Celebrate Recovery. A close friend named Sandy introduced me to this ministry. I will always be thankful! I was scared and nervous in the beginning, but after I started to attend weekly I learned that everyone loved me for me, and didn’t condemn me or treat me different. They loved me like family. After working through a Step Study, and working through the 12 steps and 8 principles, I was able to identify my root issues, and this was a very healing experience to me. In adoption, so many things are kept from the adoptee. Most will say it’s to protect the adoptee, but this is also another way of lying and keeping secrets. There is no possible way for adoptees to heal unless they know the TRUTH about what they are healing from. Protecting them is only hurting them. No matter what anyone says, we deserve to know our truth. ALL OF IT! I began my healing the moment I began to learn my truth. I began processing my history, my truth when I let go of alcohol to numb my pain. I was feeling the emotions carried and buried for close to 40 years because everyone told me to be thankful. They said that I couldn’t feel anything about my first family. I couldn’t love my birth mother. I couldn’t miss my family, even when I didn’t know who they were. ALL OF THIS HURT ME, and it HURT ME DEEPLY. Birthdays come and go, and I wanted to just sit alone and sob for my birth mother, but everyone expected me to just forget all about her. This hurt me. The last 2 years of attending Celebrate Recovery and living a sober life I have truly started the grieving process for losing my first family. Yes, they are MY first family and I lost on everything with them. Memories never to seen. No family tree, no pictures together, no mother/daughter bonding. I can go on and on about what all adoptees loose, but if you’ve ready any of my blog, you will know for yourself. So today I celebrate 2 years of life where I have truly been able to feel the sadness, and anger, resentments, and pain that I ran from truly feeling my whole life because I was denied being able feel anything. [ just be thankful! ] – If I hear that one more time I will put a sock in someones mouth! I honestly don’t wish this pain on anyone but I have come to the conclusion that I’m happy I’m finally able to feel this pain, because some never make it to this point. I don’t think its forever, even when many adoptees say it never goes away. I believe there will always be pain, because there are always too many reminders of what was lost. Holidays, Mother’s Day, “Birth” Days, and The list of triggers I have, and so on. But I hope and pray it gets easier and I’m thankful I finally have MY TRUTH and I’M ABLE TO HEAL BECAUSE OF IT. God gets the glory! Happy 2 Year Sobriety To Me. If you’re an adoptee, and you are depending on substances to get you through the pain, remember you aren’t alone. There is help available. Celebrate Recovery is the world’s largest Christ Centered Recovery Ministry! www.celebraterecovery.com and find a meeting in your area! Congratulations on your 2 years of sobriety. I celebrate with you and give God the praise for you. You've come a long way. Keep pressing your way. God is not through with you yet!